Bill Pentelovitch, partner in Maslon's Litigation and Labor & Employment Group, will present at Minnesota CLE's advanced workshop titled How to Best Present or Defend the Substantive Motion on January 7, 2019. During his session, "What I’ve Learned In The Past 45 Years," Bill will give tips on how to effectively show the court the available facts that require the case to proceed and how to establish credibility regarding the legal standard the court should adopt. Bill is a business trial lawyer with more than 44 years of experience and hundreds of jury, bench, and arbitration trials, as well as dozens of appeals in state and federal courts to his credit. 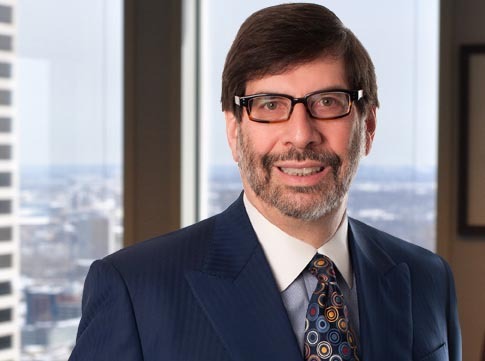 For three decades he has practiced nationally in the areas of non-compete, trade secret and unfair competition litigation, and intellectual property licensing and royalty disputes. In addition, Bill is a leading trial lawyer in Minnesota in the area of ownership and governance disputes in closely-held corporations, limited liability companies, and partnerships. His wide-ranging trial practice over the past four decades has encompassed virtually every type of dispute in which businesses can become embroiled, representing a wide variety of financial institutions, medical device and pharmaceutical companies, manufacturing companies, real estate and construction companies, and professional service firms in breach of contract, business tort, and statutory liability cases. For more information, go to: Minnesota CLE, How to Best Present or Defend the Substantive Motion.